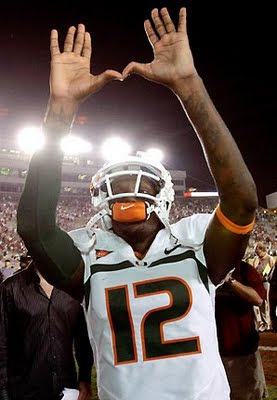 A perfect football weekend concluded with the thrilling victory of Miami over Florida State. What more could I ask for after a fantastic three day weekend? Stewart Mandel looks into the implications of BYU's victory over Oklahoma. Pat Forde points out that BYU was doing pretty well defensively long before Bradford's injury took him out of the game. Can't imagine how much title talk there will be in Provo if the Y takes down FSU. Its a long season boys ... a long season.